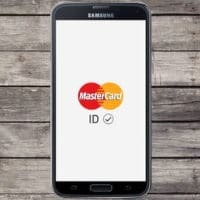 Mastercard has signed deals with Google, Samsung and Microsoft to allow its customers that use Android Pay, Samsung Pay or Microsoft Wallet to shop online wherever Masterpass is accepted, while Google has announced a similar deal with Visa to offer the same functionality to Android Pay users via Visa Checkout. Starting early next year, the Mastercard deal will allow consumers with those mobile wallets to use their same secure tokenized credentials and device authentication methods to complete online transactions. Making the announcement at Money2020 in Las Vegas, Mastercard says the deal will provide a “secure and simplified online checkout experience for consumers”, expanded acceptance for banks, and further customer reach for merchants without additional development work. “If I’m a Samsung Pay user, I can link my account within Samsung Pay with Masterpass and then take advantage of the Masterpass acceptance network in the US,” Mastercard’s Kiki Del Valle explained to NFC World. “As a consumer, I can basically link my account to Masterpass. I can opt in into this linking of accounts — linking of wallets if you will — and then once I’m on a merchant site and I see that there is a Masterpass acceptance button on that site, I can click on there and I can use my Samsung Pay credentials to pay. “Masterpass provides an additional payment option for our customers who look to the Microsoft Wallet to conveniently checkout at their favorite online shopping sites,” says Microsoft’s Eric Lockard, Microsoft. “With this partnership, Android Pay and Masterpass will deliver a seamless purchase experience at thousands of merchants that support Masterpass,” says Google’s Pali Bhat. “We are thrilled to be working with Mastercard to bring online payments to the masses and make the online shopping experience as convenient and seamless as possible,” says Samsung Pay’s Thomas Ko. Launched in 2013, Masterpass was enhanced earlier this year when an in-store NFC mobile payment capability was added to the service that had only been available until then for online and in-app payments. It has been available to 200m consumers in Europe as of the end of June 2016, with 40 major issuers across 18 countries in Europe using Masterpass to integrate digital payments into their services. MasterPass and its competitors make online commerce both more convenient and more secure. If there is a downside to them, it eludes me.